I was able to confirm that World of Beer in Renton has a dog-friendly patio. Also, Katie J’s Bar and Grill is dog-friendly inside at the bartender’s discretion. 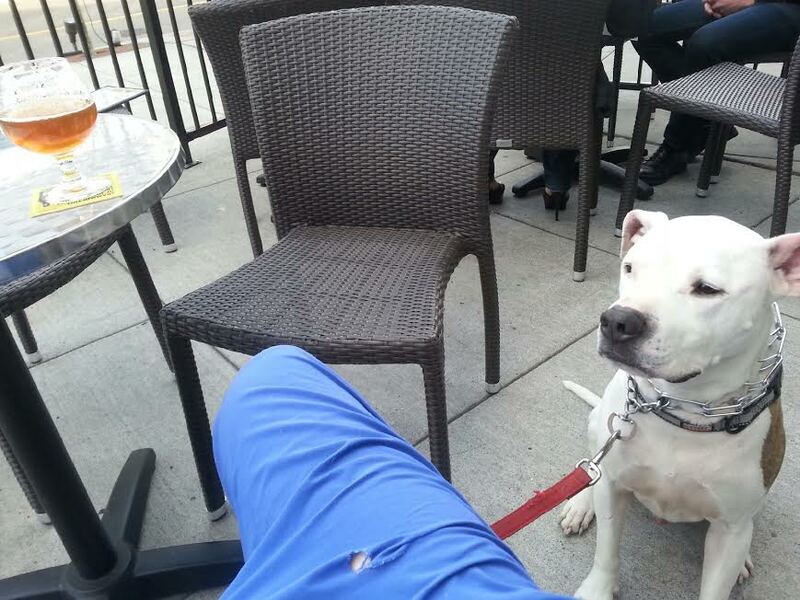 It was a beautiful sunny afternoon, so Chris and his pretty pitbull Juice opted to snag a spot on the dog-friendly patio at World Beer. Look at that good boy! Chris also reports that World of Beer has a great selection of reasonably priced craft beers. And, while they don’t serve food, all of the restaurants in the area will deliver food to you at World of Beer. From what I have heard about Katie J’s, it is a popular Renton dive bar. I did confirm with the bartender that they allow dogs inside so long as none of the patrons complain. So, could be hit or miss, but worth a shot if you’re in the area! So, are there any other dog-friendly spots in Renton that Dog Gone Seattle readers should know about? The Red House in Renton a block away from the donkey statue allows dogs on their patio outdoor seating… some of the best food in Renton with an AMAZING wine list!!! I do focus on establishments that are dog friendly inside, but since I had a reader specifically ask about Renton I had to include some patio spots as well. Thanks for the tip, I’ll add this to the map! The Dog and Pony Alehouse in Renton allows dogs on their patio as well. It is a great space to enjoy an extensive craft beer & cider list with your four-legged friend. Whistle stop ale house in Renton also allows leashed dogs on the patio. Good food, and great cocktails.